I work as a gynaecologist and specialist obstetrician in maternal-fetal medicine and assisted reproduction. I am coordinator of the department and the delivery room at SJD Barcelona Children’s Hospital. 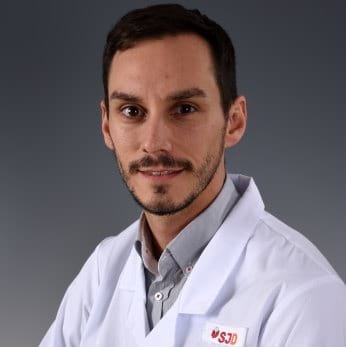 I am also in charge of the obstetrics programme at the Darwin Simulation Centre in Barcelona and I work as a collaborating lecturer at the University of Barcelona at under-graduate, post-graduate and master’s level. I am coordinator of the virtual fellowship in maternal-fetal medicine taught by Medicina Fetal Barcelona. I work on nutritional research for pregnant women and in multidisciplinary obstetric simulation. I completed the Master’s degree in Critical Care at the University of Barcelona. I am a simulation instructor accredited by Boston Children’s Hospital (Harvard Medical School Teaching Hospital). I teach courses on obstetric simulation and I have spoken at various national and international congresses.